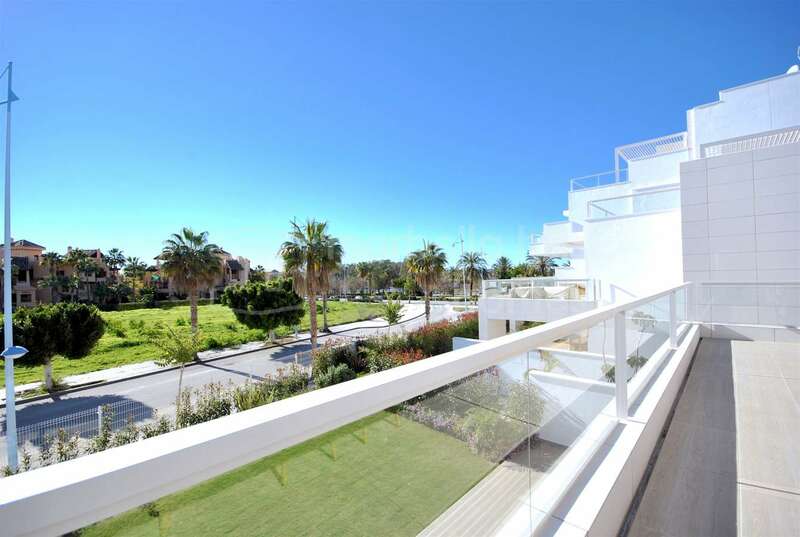 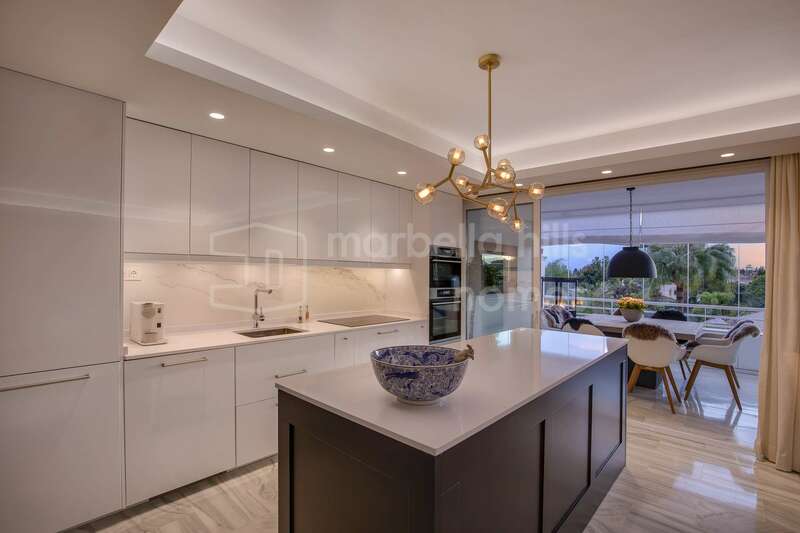 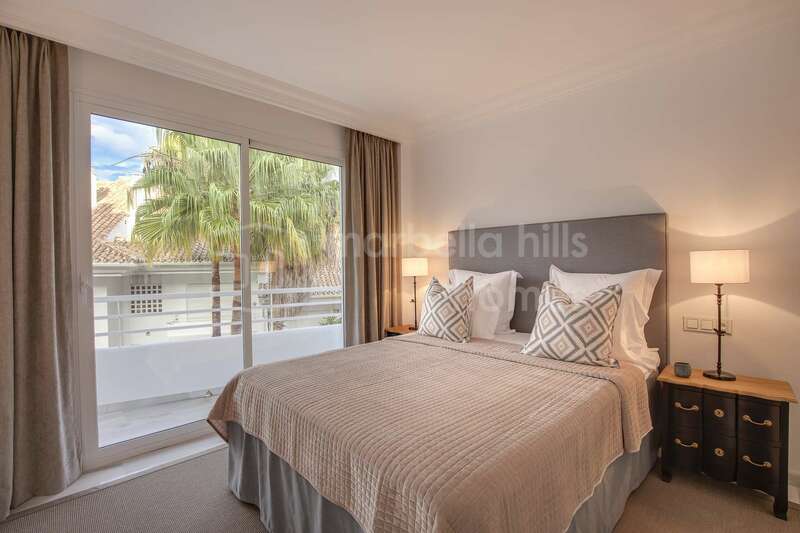 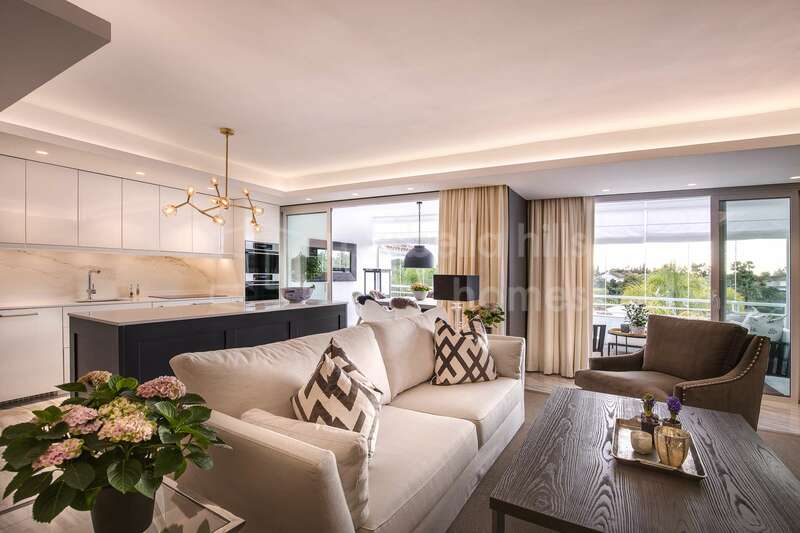 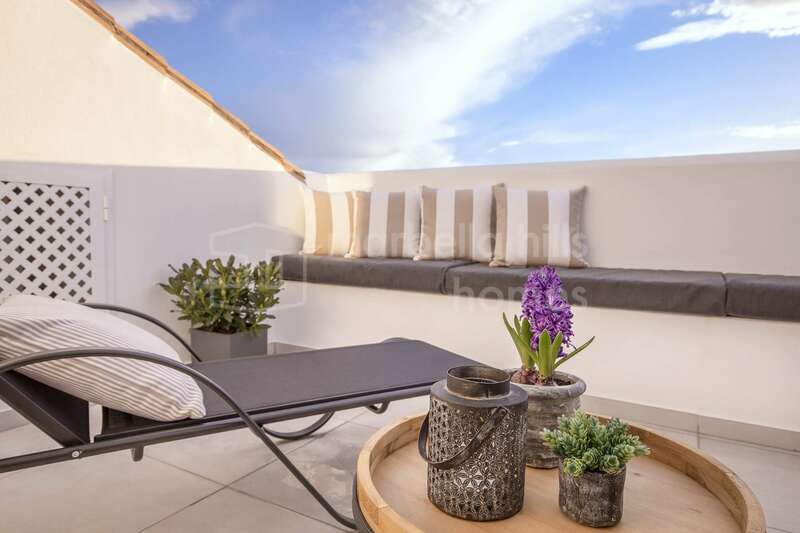 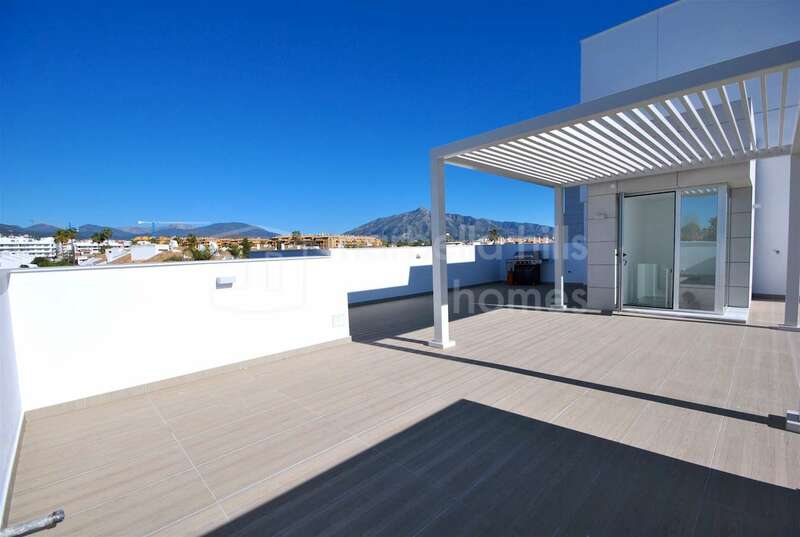 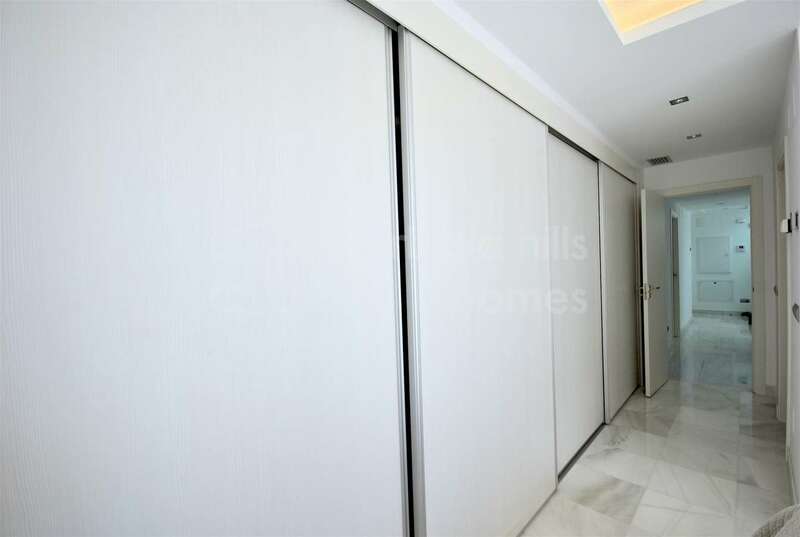 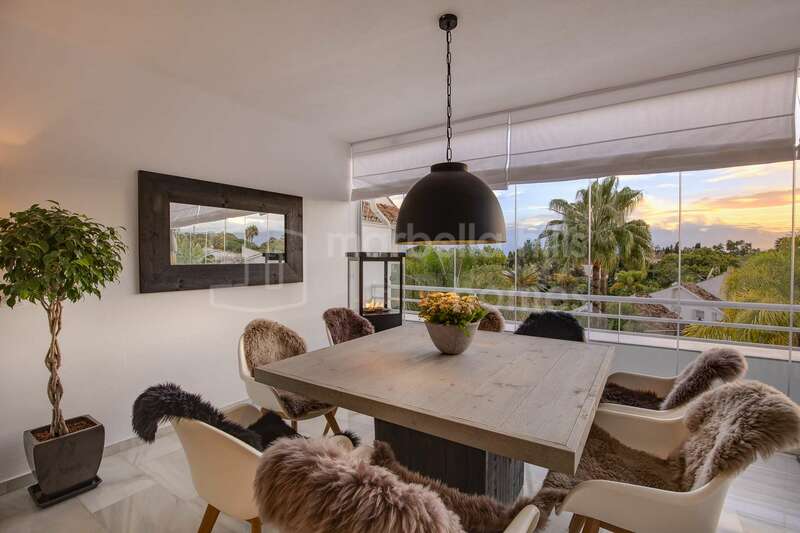 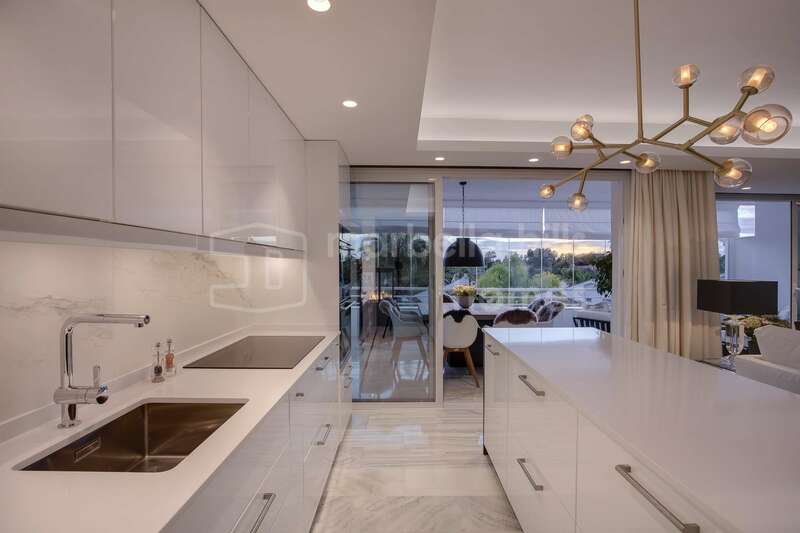 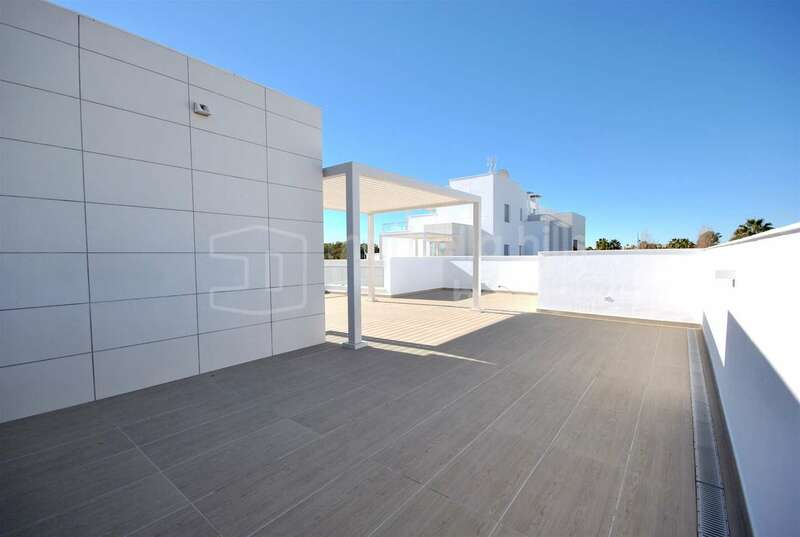 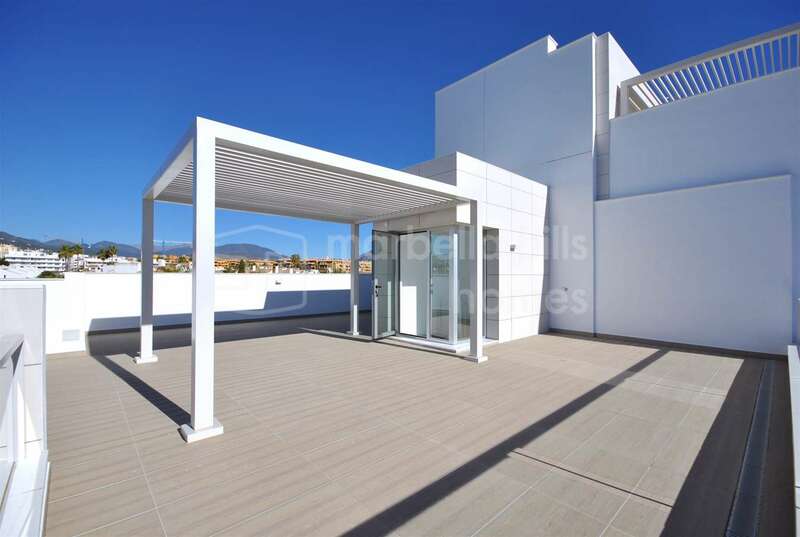 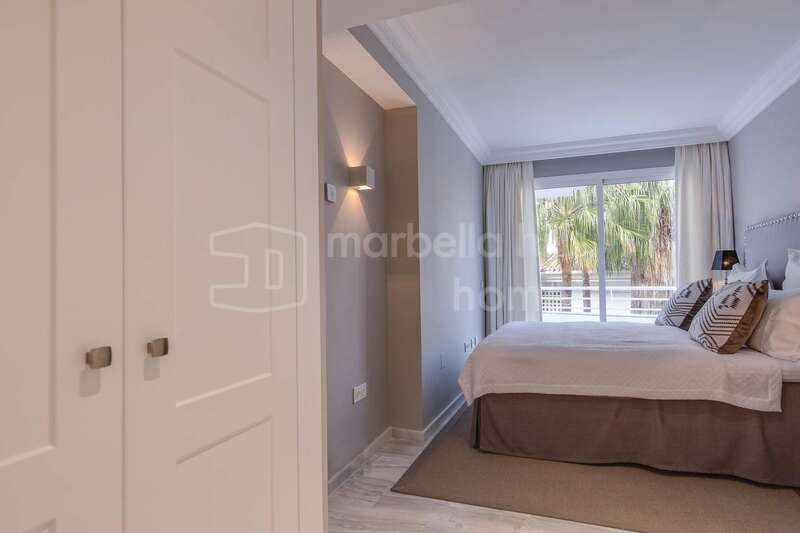 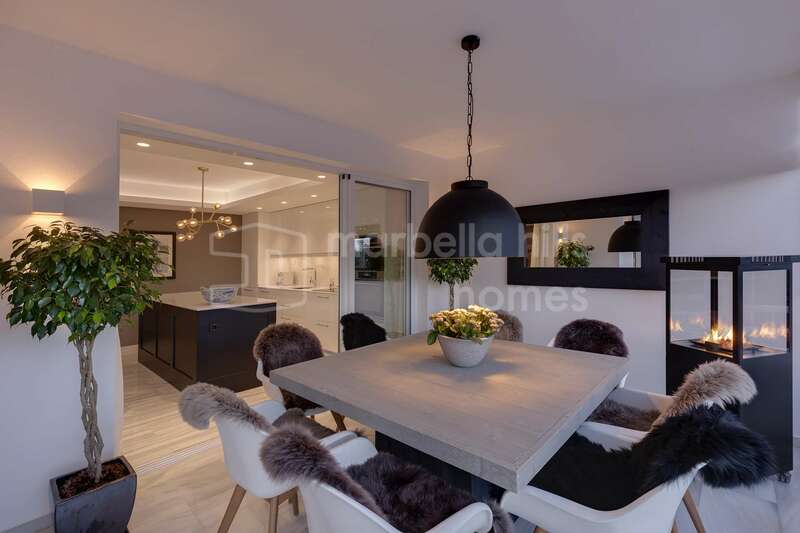 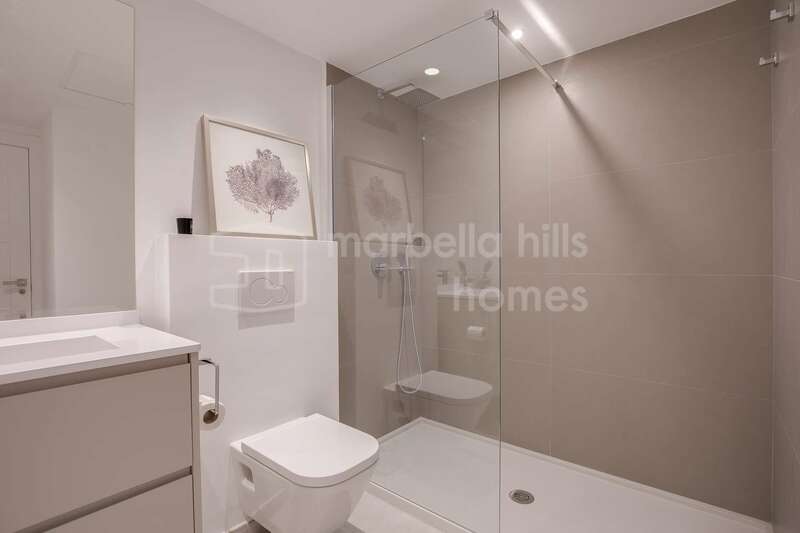 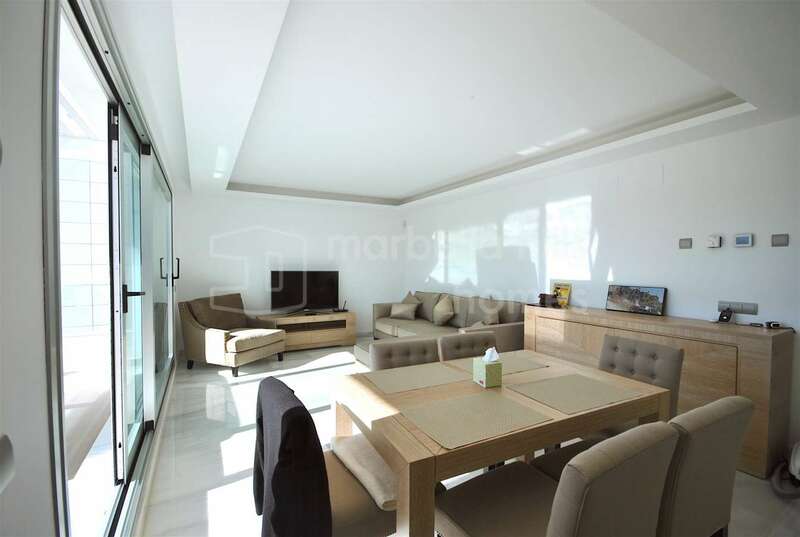 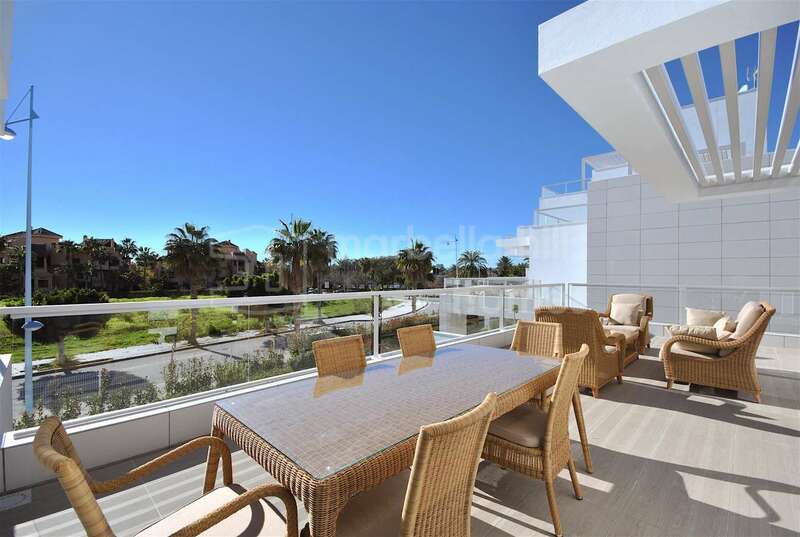 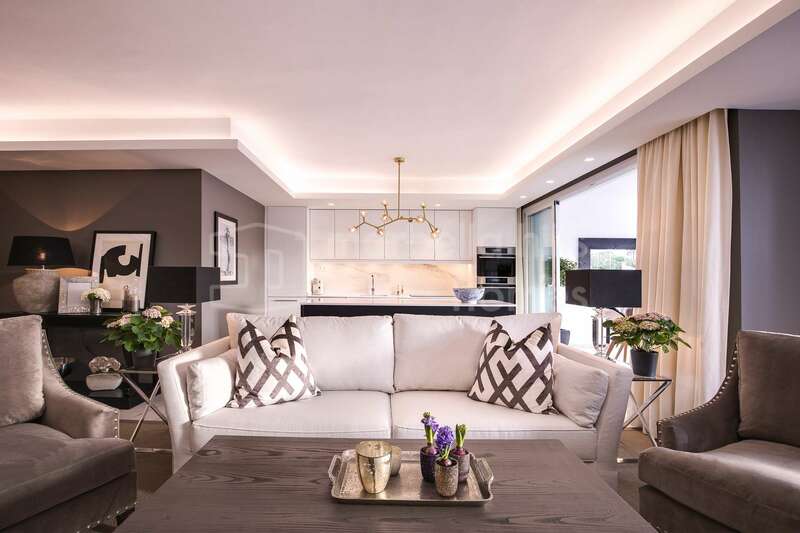 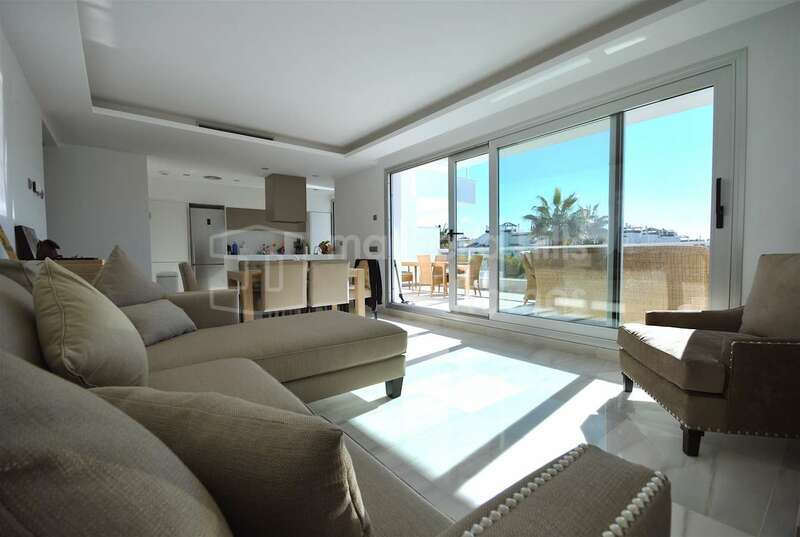 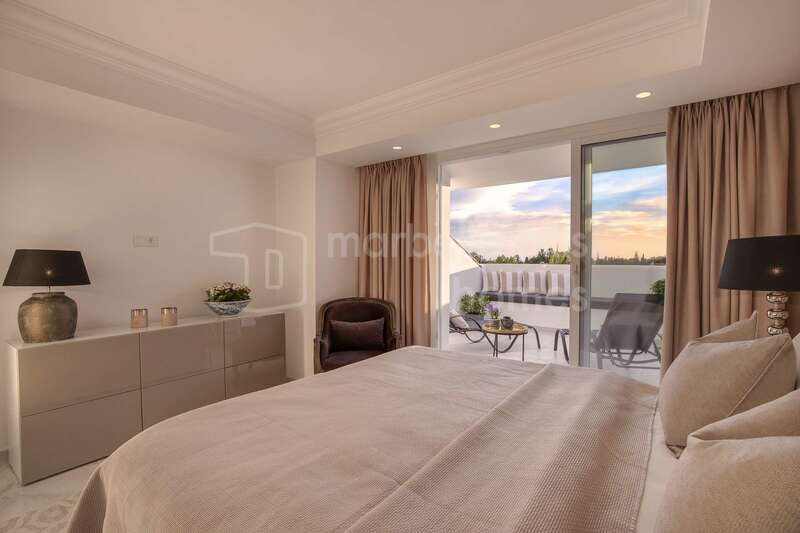 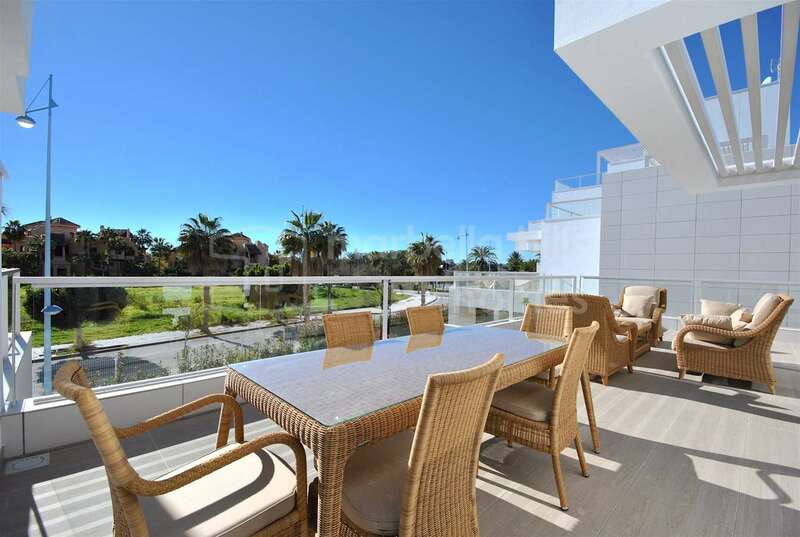 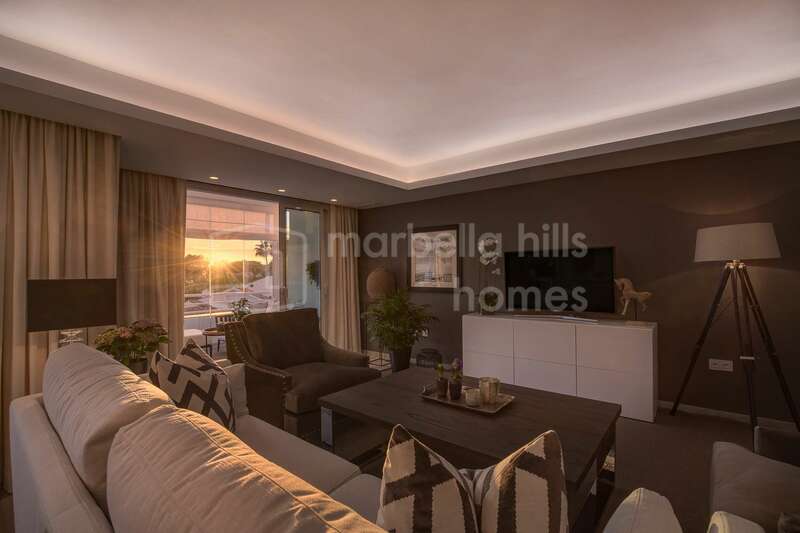 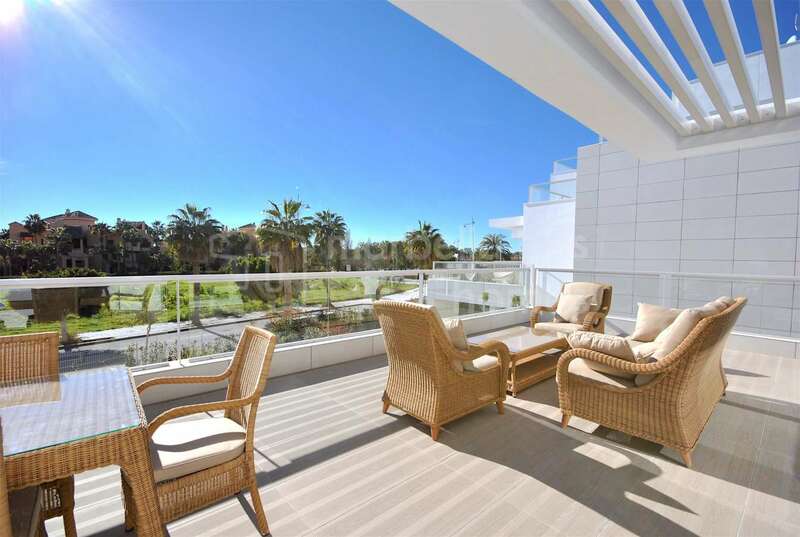 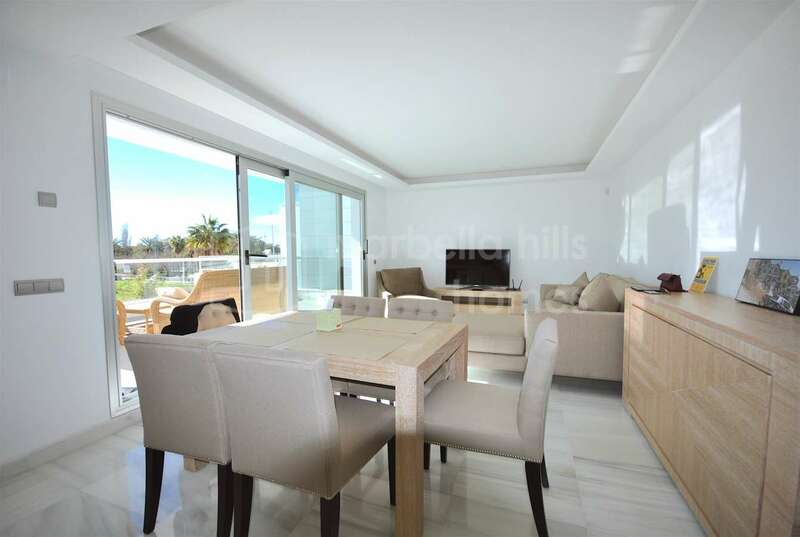 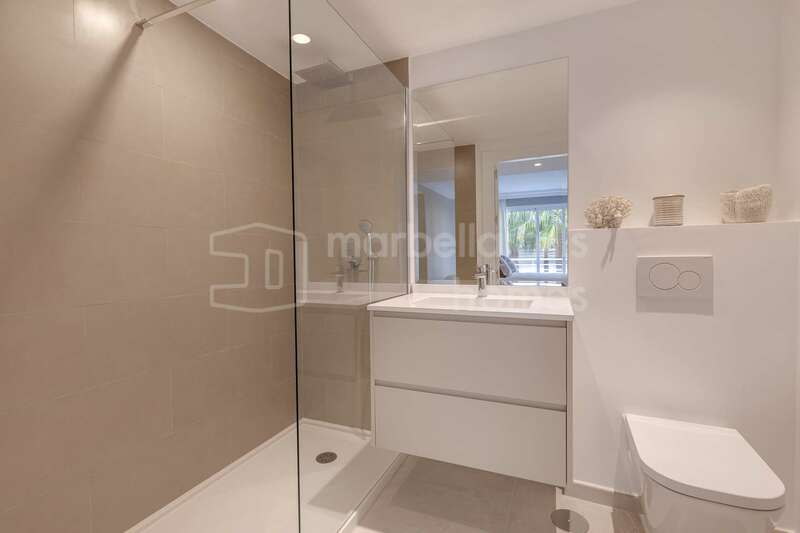 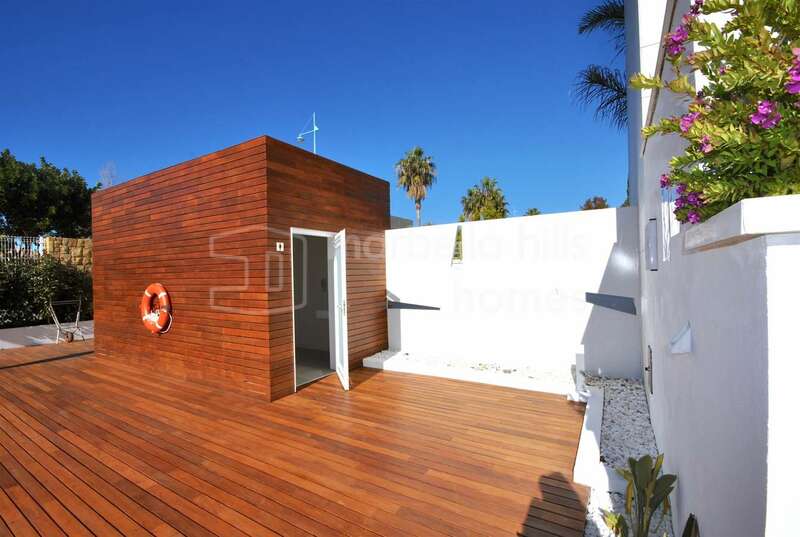 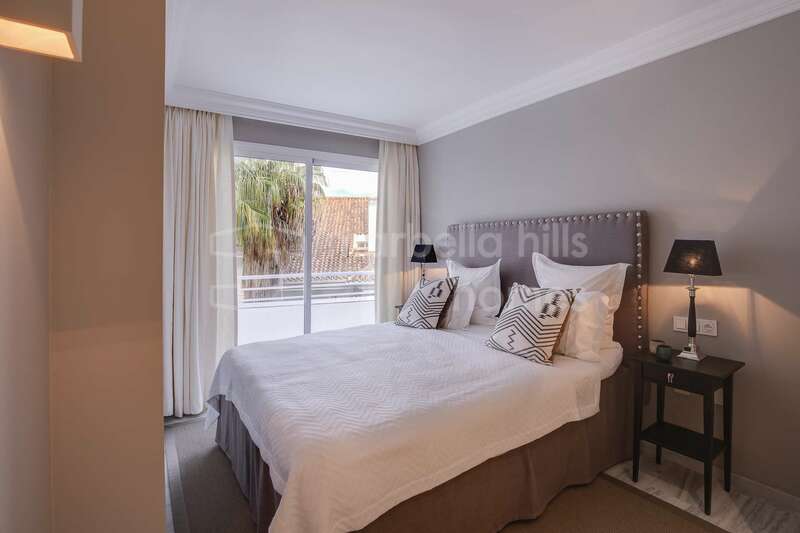 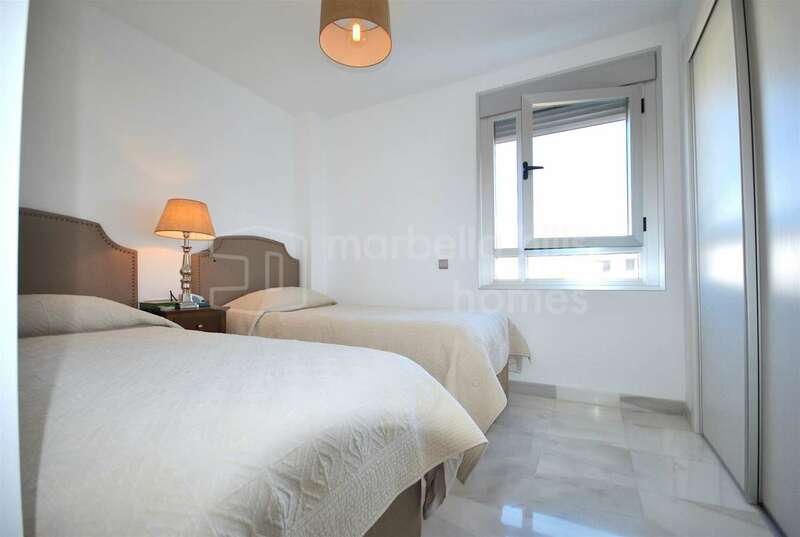 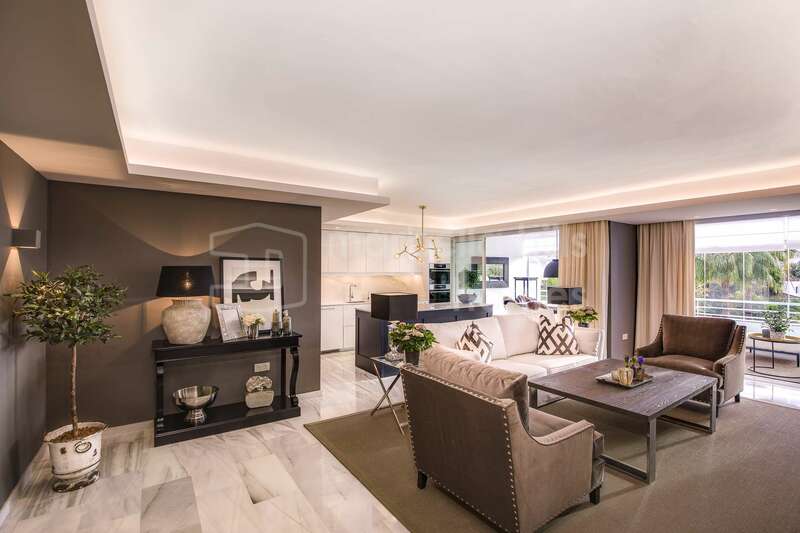 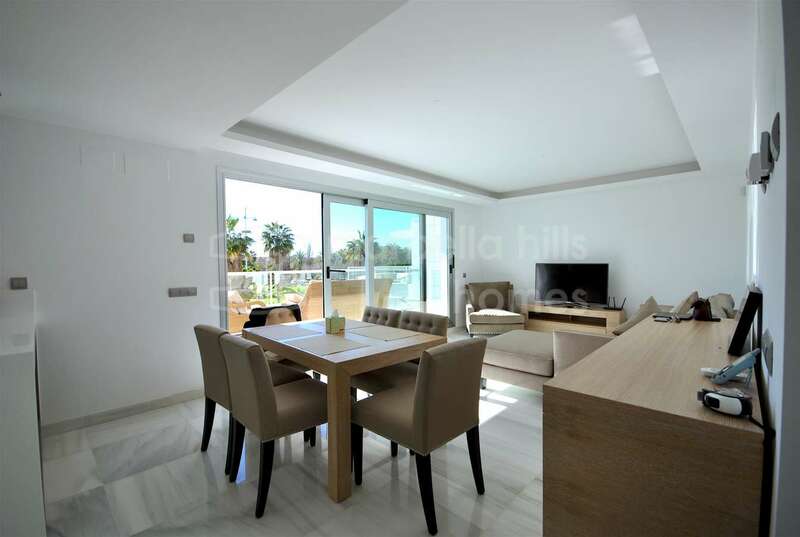 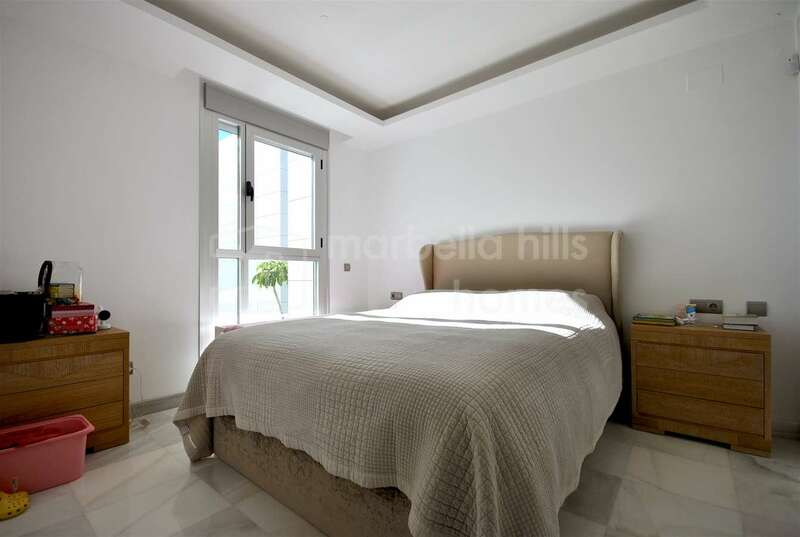 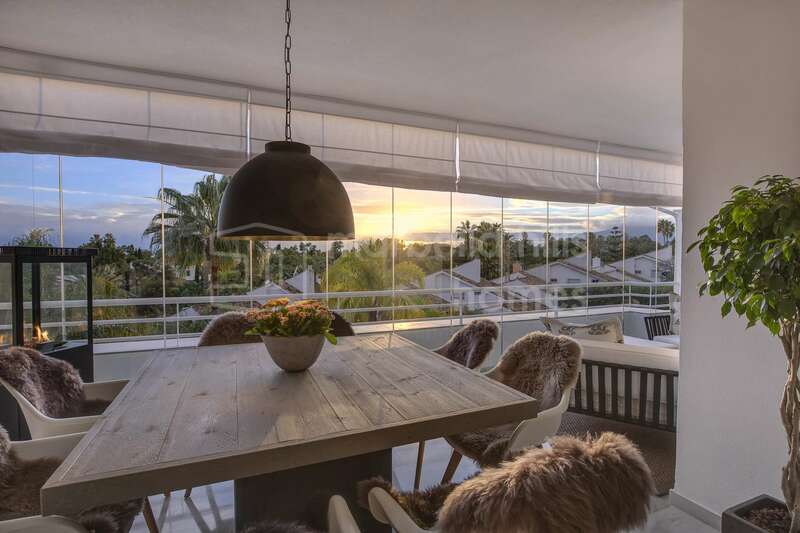 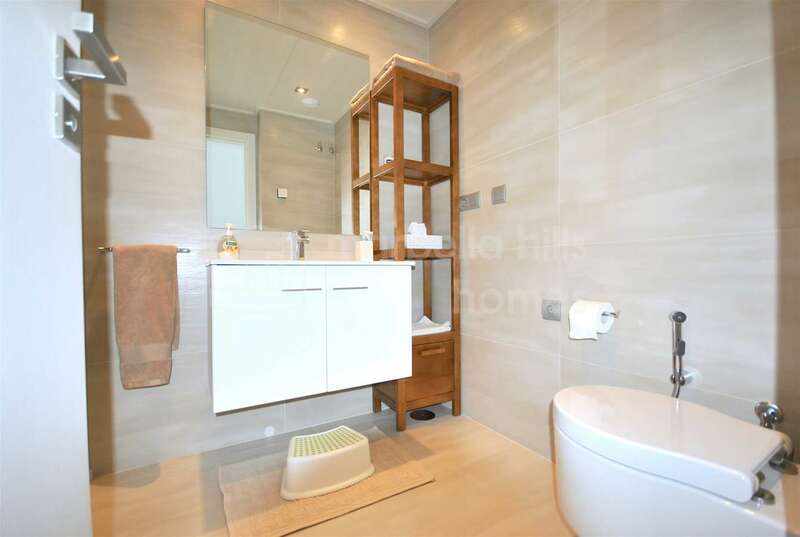 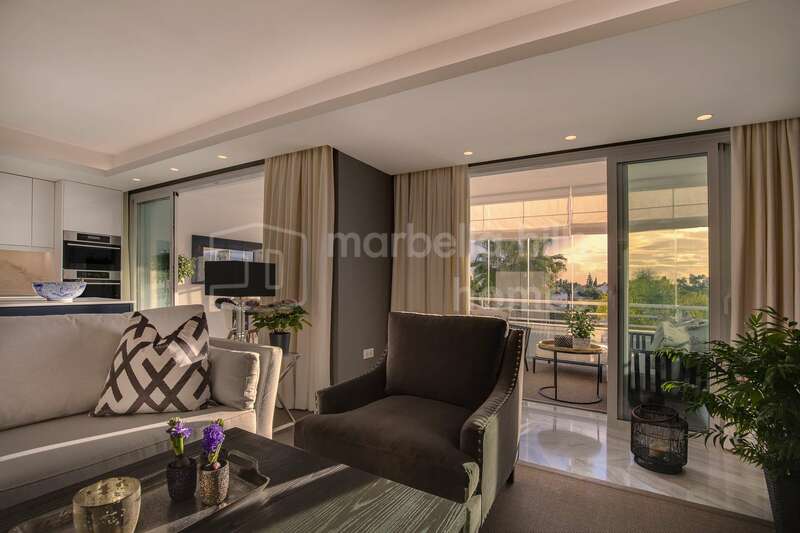 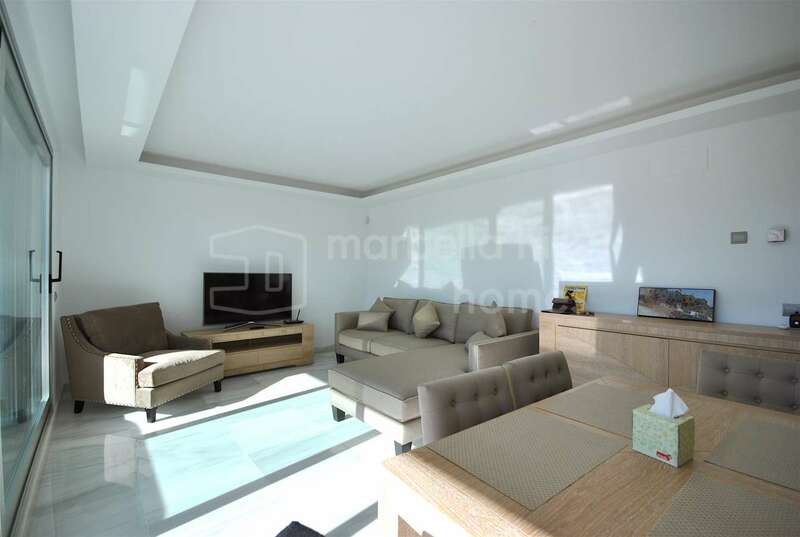 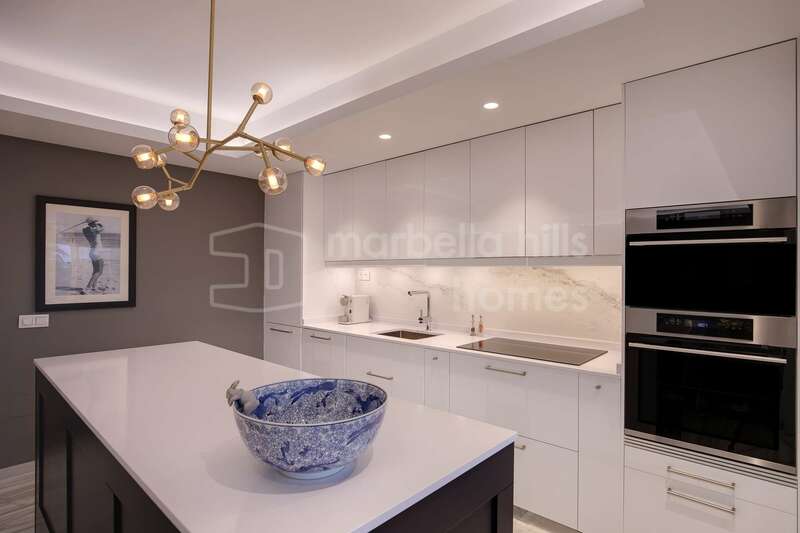 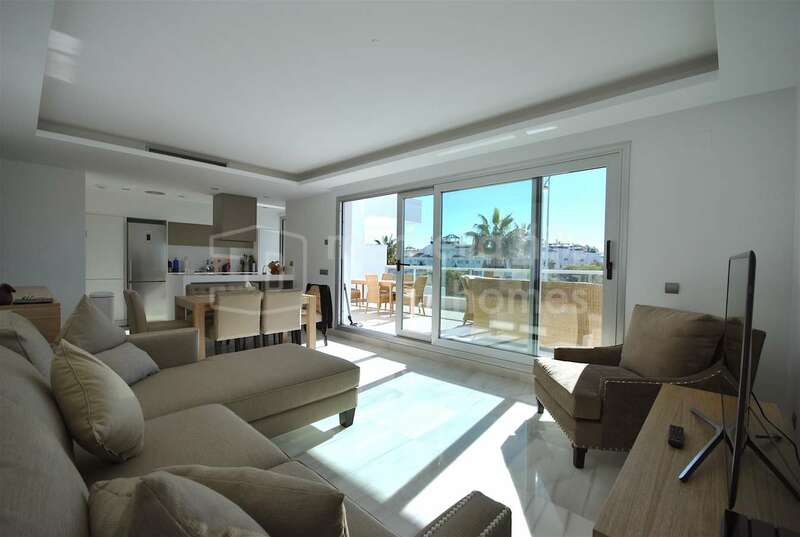 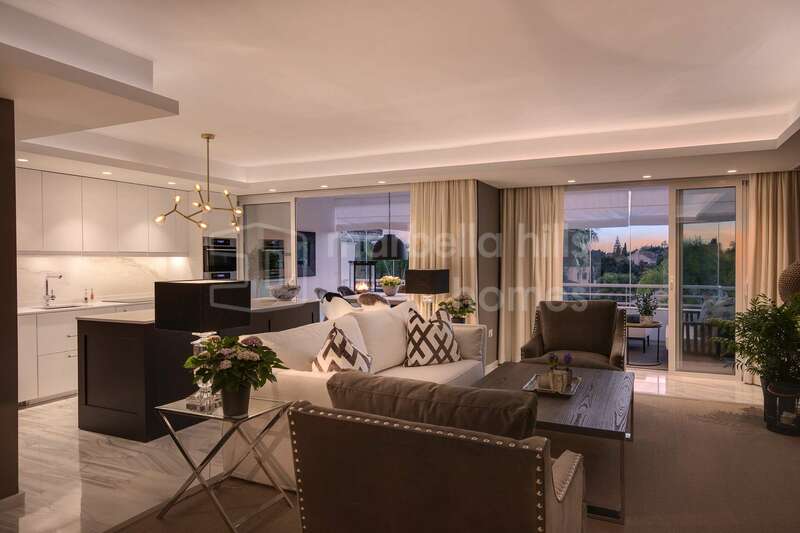 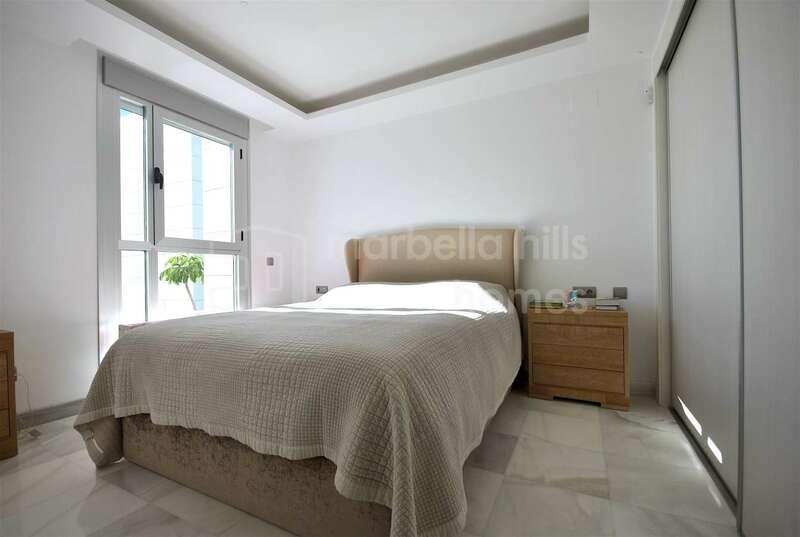 Luxurious penthouse duplex of 4 bedrooms and 4 bathrooms recently completely renovated in upscale contemporary style located in the popular area of ​​Guadalmina Baja in the residential complex Hoyo 15. 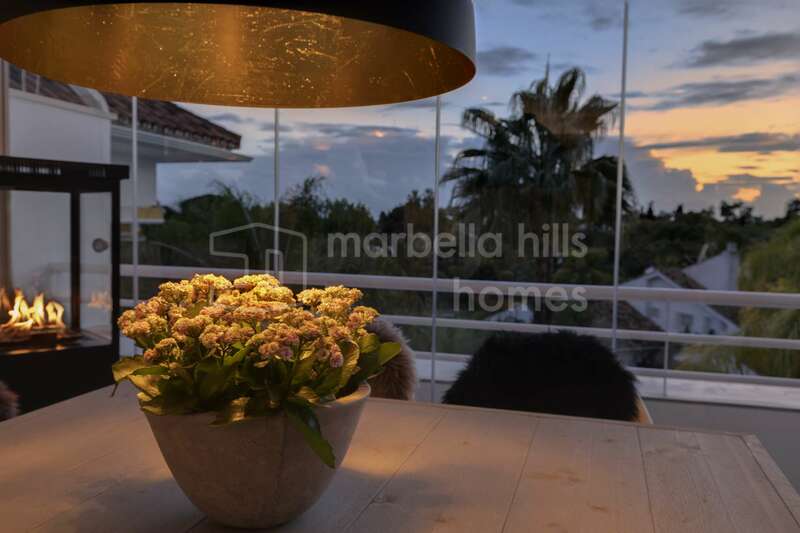 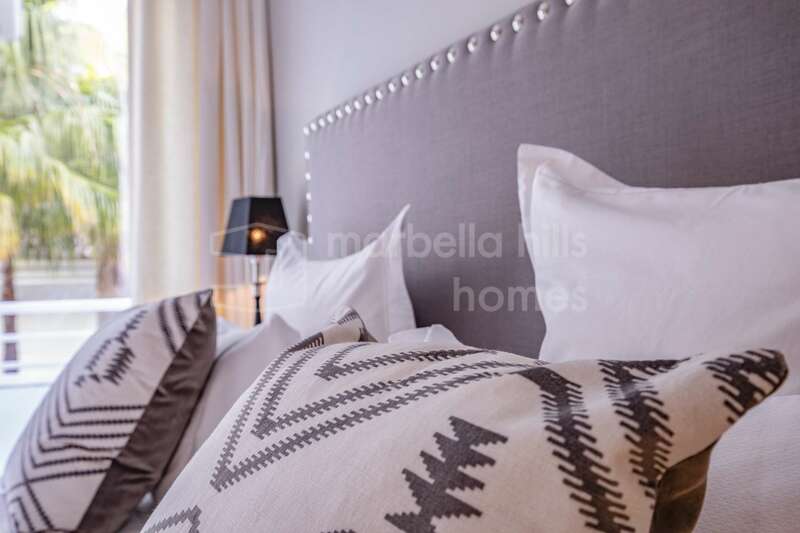 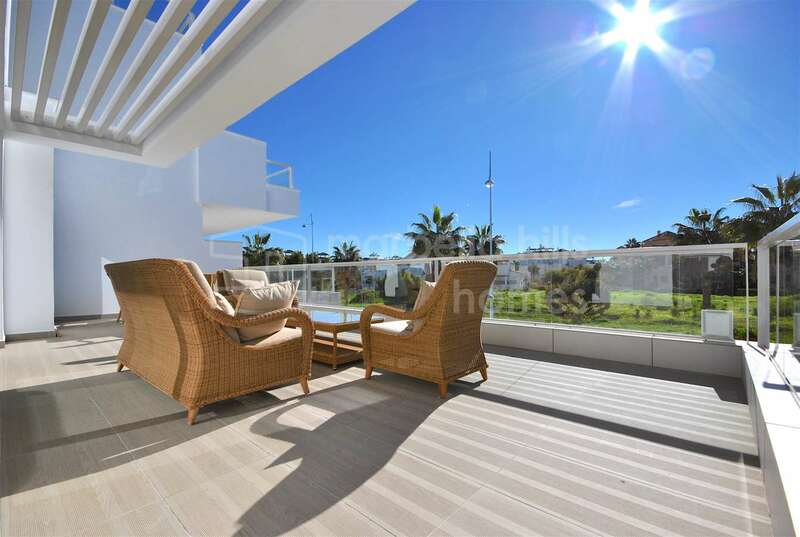 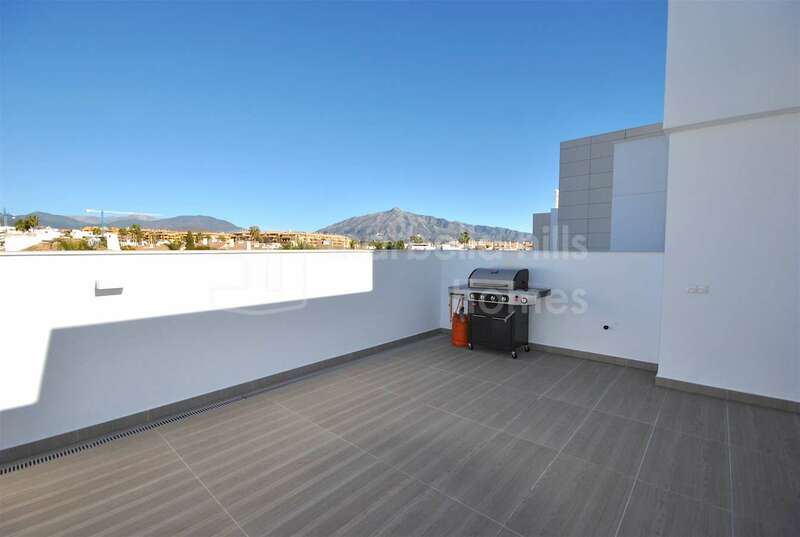 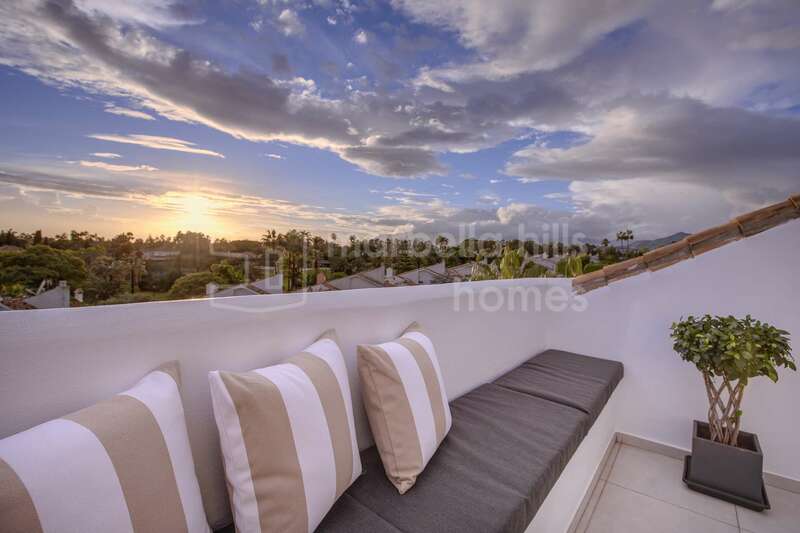 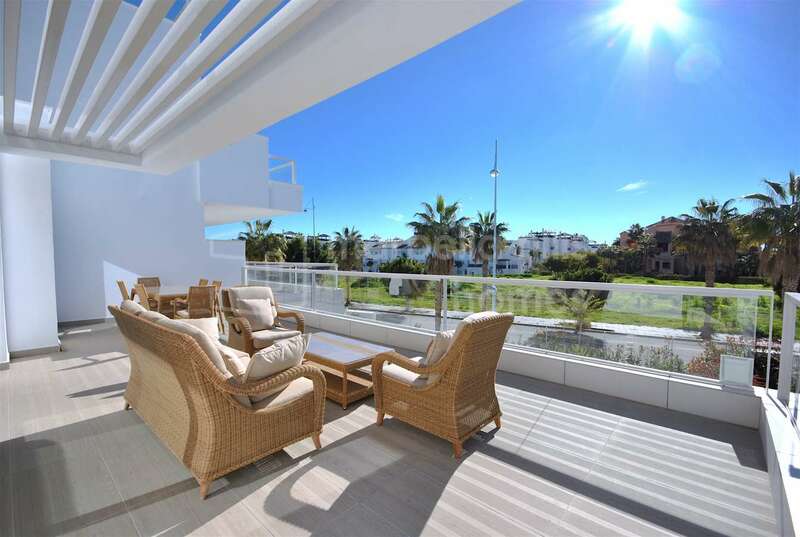 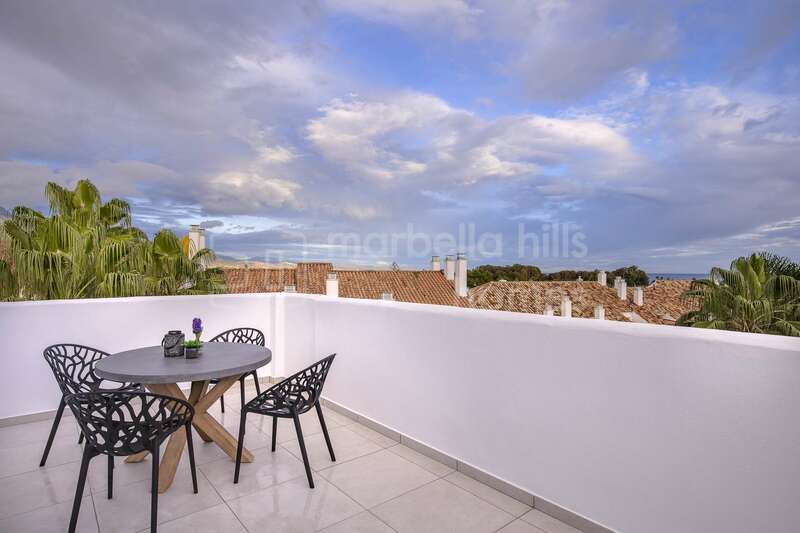 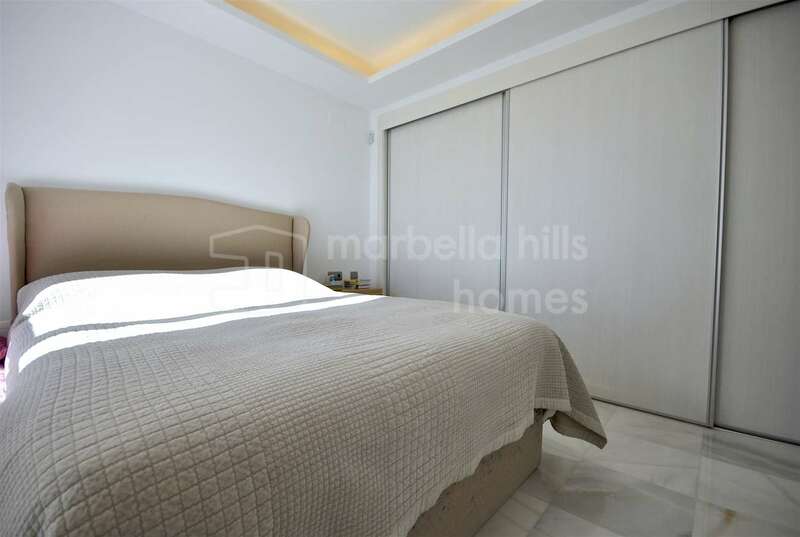 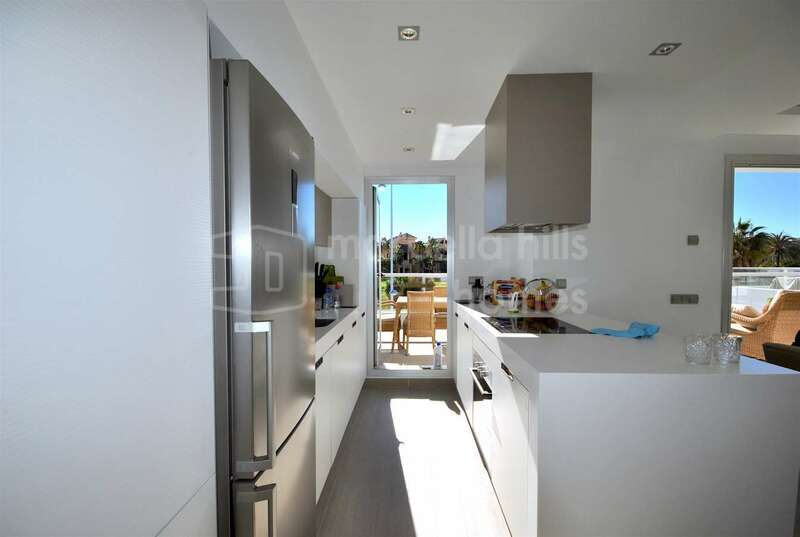 Close to the beach, golf courses, all shops and a few minutes drive from Puerto Banùs and Marbella – Fantastic views of the mountains, the surrounding landscape and the sea. 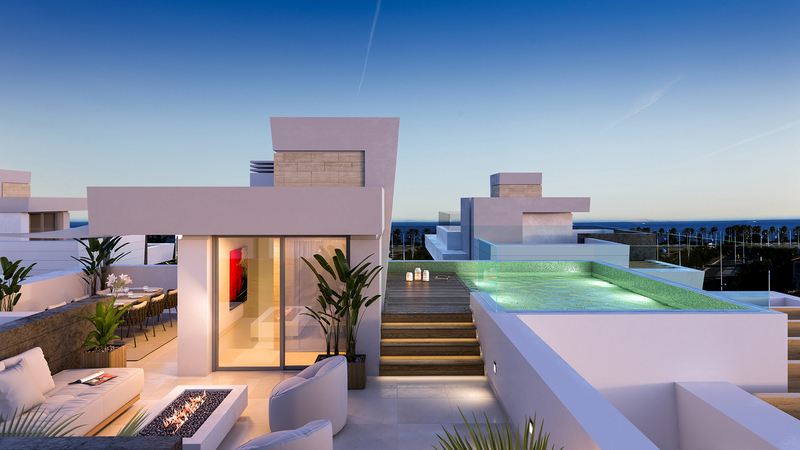 The upper floor includes a master suite with dressing room and private bathroom and a guest room with bathroom. 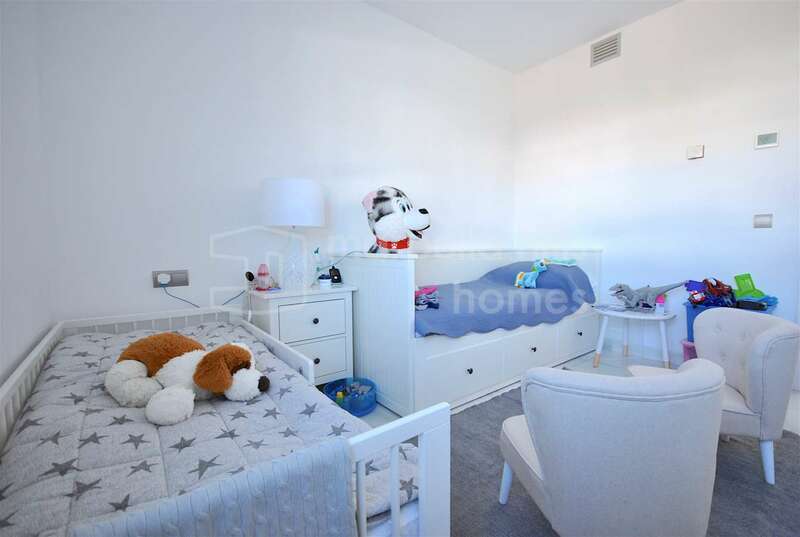 Two parking spaces and storage space are included. 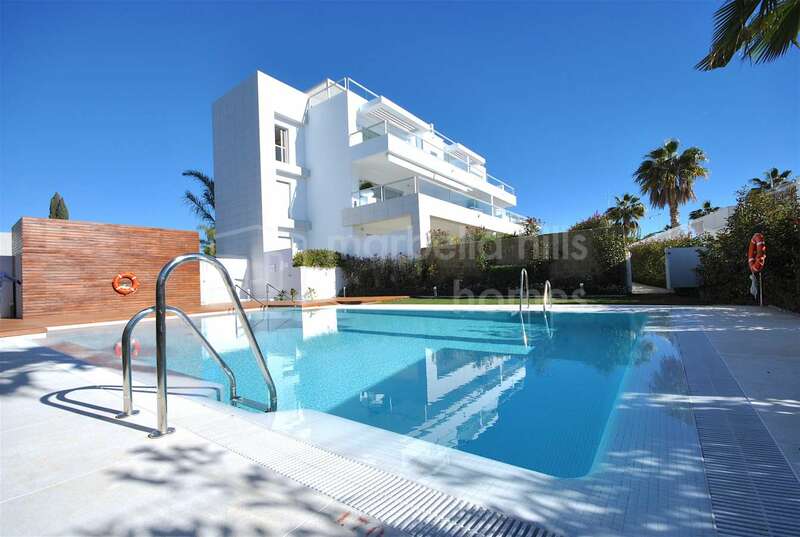 The Hoyo 15 residential complex, private and secure 24/24 offers two beautiful pools and beautiful Mediterranean gardens. 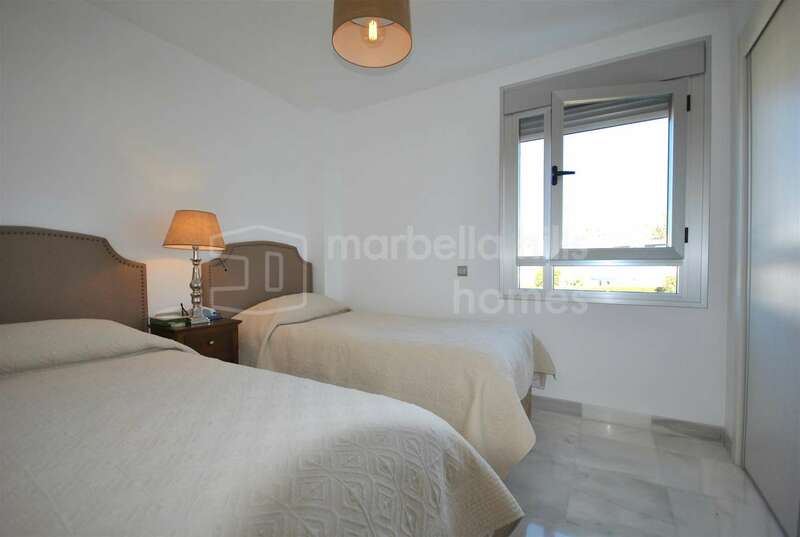 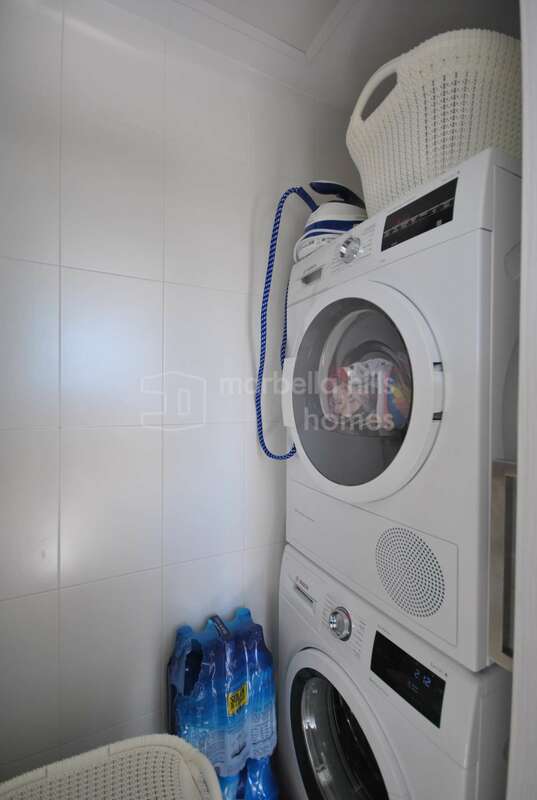 Fully fitted kitchen, Close to shops, Close to schools, Utility room, Pets allowed, Marble floors, Satellite TV, Guest room, Storage room, Double glazing, Dining room, Security service 24h, Private terrace, Kitchen equipped, Living room, Amenities near, Sea view, Mountain view, Transport near, Internet - Wifi, Covered terrace, 24h Service, Electric blinds, Fitted wardrobes, Gated community, Air conditioning, Lift, Garden view, Pool view, Beachside, Underfloor heating (bathrooms), Close to children playground, Close to Sea/Beach, Close to Golf, Uncovered terrace, Open plan kitchen, Fully furnished, Excellent condition, Recently Renovated/Refurbished.